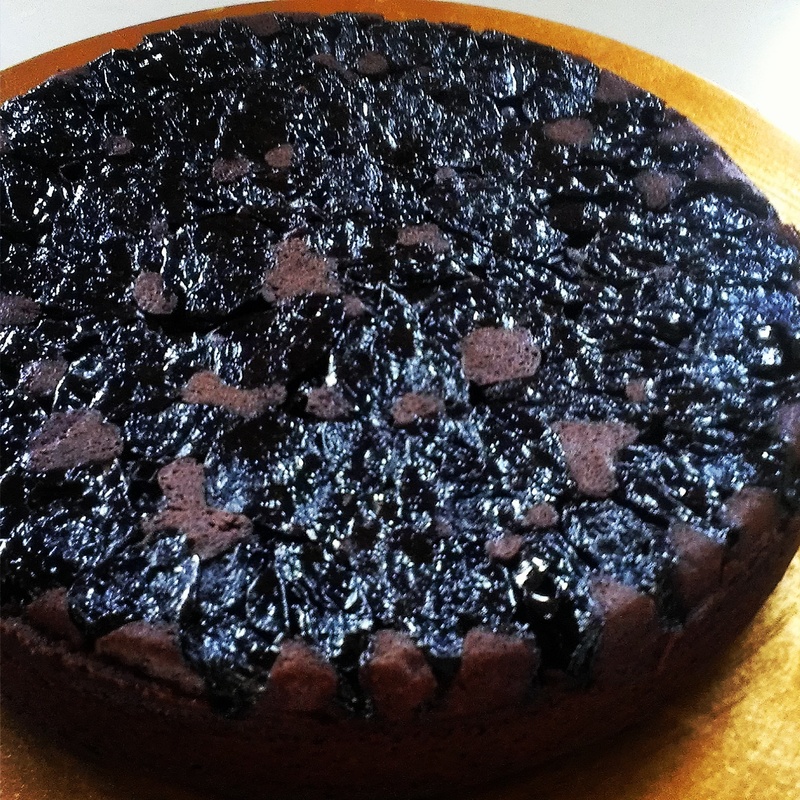 This is a lovely moist cake, deep chocolate flavor with an almost brownie like texture with the added treat of those port soaked prunes. Perfect with a little dollop of thick cream and some extra port soaked prunes as garnish.For best results ,eat on day of baking or serve warm. You might be thinking there’s nothing luxurious about prunes but these prunes have been soaked overnight in port turning them into deliciously soft boozy pockets of joy.Enjoy!! Pit whole prunes by slicing length-ways halfway and removing stone carefully and then reshaping back to natural prune shape. Place the prunes in a small bowl and pour in port to soak into the prunes. Seal and store in the fridge overnight. 3. sift together the plain flour and almond meal and add to the bowl, folding this in until evenly distributed. the mixture. Add in the rest of the egg whites, folding it through gently. pattern and then cover with the cake mix. 6.Place in a preheated 170°C oven and cook until set but still slightly soft in the middle.This will take about 45 minutes. tin but let the cake cool completely before trying to place it on your serving dish.